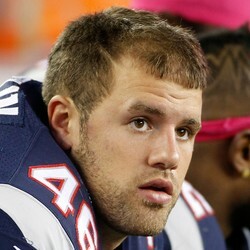 James Develin rushed once for a two-yard touchdown in the Patriots' Week 14 loss to the Dolphins. Once again, Develin is a blocking fullback and should not be used in fantasy football. Look elsewhere.